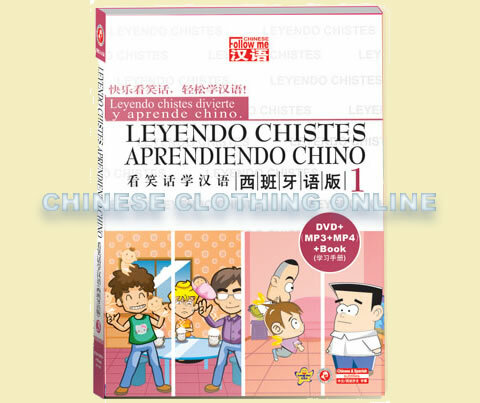 This series is designed for you to learn Chinese in a happy and easy atmosphere; vivid funny cartoons; idiomatic expressions; interesting intonation and standard pronunciation will sure arouse your interest in Chinese and help you grasp it as a piece of cake. Each joke is translated into Spanish which improves your comprehension of the text. Come to learn Chinese and you will love it.